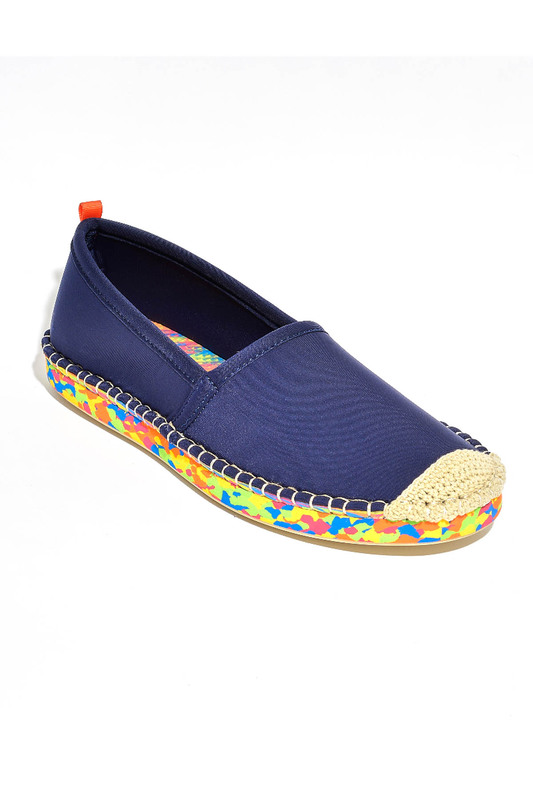 A classic espadrille design re-imagined with a breathable, quick-drying neoprene upper and a protective colorful sole made from mosaic of upcycled rubber scraps. Transition from water sports to walks on the sand while staying comfortable and cool. Available in whole sizes. Espadrille fit is snug but comfortable to ensure they will not slip off while swimming. For a looser fit and for half sizes, order the next size up.